So how do you decide which is better for your business? Before you make a final decision, you'll want to analyse your business goals, requirements, internal processes, and budget. Time for you to look at how each platform handles things from multi-store management to payments. Here is a small set of features you may want to consider. One thing you'll notice about Magento and Shopify is they easily help you manage multiple B2B stores. However, you'll find some differences in how easy they are to set up. Most strikingly, most reviewers think Shopify is far easier to set up for online store functionality. For managing inventory in multiple business locations, Magento earns extra points since they allow you to manage multi brands all from one interface. One great feature Magento provides is the ability to share your product catalogue across multiple channels. This helps in giving more cohesiveness to your brand rather than managing catalogues separately for each location. You may feel tempted to try Shopify because of its user simplicity. Shopify can't manage multiple locations quite as well, making it better for when you managing a single sales channel. Magento 2 Enterprise comes out on top yet again when it comes to managing store locations around the world. Shopify still has room to grow in managing multiple stores through one platform. Nevertheless, it's possible to manage separate stores through Shopify in international locations. Since you'll want to see what's going on in each international location, Magento is the better choice here. This is especially useful when you're on the go and need to look in on your mobile device to see what's happening in each store. You can do a lot with both platforms to help your merchandise look appealing to customers. For one thing, it's possible to add themes and templates to help complement the style of the products you sell. While Magento offers more of these than Shopify, you'll be surprised at how little some templates cost. These templates can be customised to your brand image and workflow requirements. Magento offers many templates for far less money, but not all templates are created equally. Be wary of poorly developed templates which may be costly for your developer to integrate and customise. Magento definitely has Shopify beat on the number of apps, plug-ins and extensions you can use. The Magento’s development community is considerably larger than Shopify, but again, make sure any extension you’d like to use is updated frequently and is favourably reviewed by the community. Both of the platforms offer free and paid apps and extensions, based on what your business needs are. Since all customers want to know how secure your B2B e-commerce system is, you'll want to see what kind of security Magento and Shopify brings. As expected, both focus heavily on PCI compliance. Magento offers their Secure Payment Bridge solution. Secure Payment Bridge is a PA-DSS certified payment application that helps merchants achieve PCI compliance. Magento Secure Payment Bridge is included with a subscription to Magento Enterprise Edition. Shopify operates as a hosted solution and provides their own security so you don't have to invest in security tools yourself. They deal with compliance assessment and risk management to keep your business 100% safe. Magento has a strong focus on SEO, making their marketing capabilities for your B2B business top-tier. The software makes it easy to update meta-descriptions, URLs, and headers as well. In comparison, Shopify automates a lot of their SEO capabilities. Both platforms easily integrate with all your email marketing tools so you can manage every message to prospects. Likewise, you can make e-commerce payments easy for your customers through Magento and Shopify. Both have fast checkout processes and work with all the major payment gateways. Shopify has their own payment system that can help save on integrating an external payment gateway should you need to. Interested in learning more? 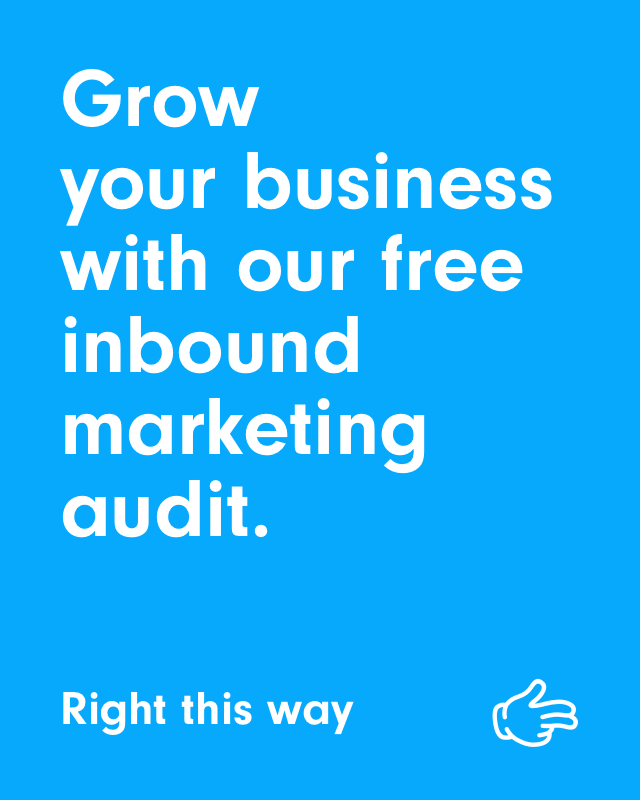 Drop us a line and redeem our free inbound marketing audit for your business.